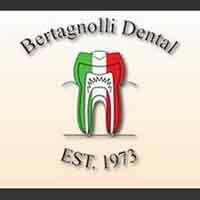 If you just moved here and are looking for a family dentist in town, the office of Bertagnolli Dental would like to welcome you to our practice. When you are looking for a dentist for the entire family you want an experienced and caring office. We take pride in providing the care you need to keep your smile healthy. You need a dentist who is experienced and will effectively diagnose and treat any issue you have. We offer the latest technologies in restorative, cosmetic and preventive dentistry to help to create a beautiful smile that will last a lifetime. Our reputation as the best family dentist in town stems from our desire to help our patients to make informed decisions on their dental care. Our courteous staff is here to answer all your questions. Visit us online or call to schedule your appointment today when you need a family dentist in town you can trust.